(CBS/AP) ACCRA, Ghana - An American couple, who used their popular blog to chronicle their journey to adopt four children from Ghana, was detained by Ghanaian authorities and forced to spend a night in detention as they tried to take the children back to the U.S., according to officials. Sol and Christine Moghadam from Irvine, Calif., were traveling with their two biological children as well as the four adopted siblings, who are originally from the Ghanaian city of Kumasi. 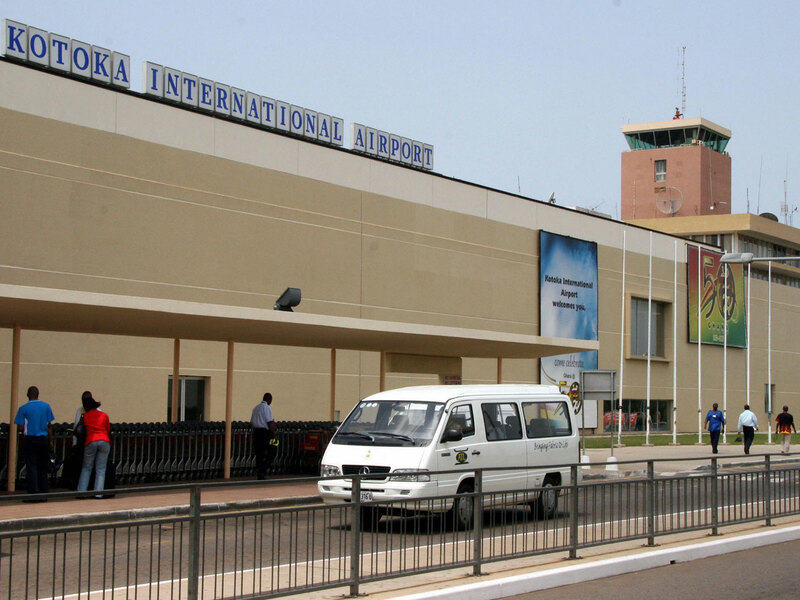 They were stopped Friday at Kotoka International Airport, after the government received a phone call from an anonymous tipster who accused them of child trafficking, according to a statement posted on the website of AdoptTogether, an advocacy group that produced a video of the couple's adoption process. However, a source close to the family refutes this account, saying the family was not at the airport or even en route when they were detained. Instead, the source says, the family was in a taxi on their way to lunch when they were stopped by an unmarked police car. According to the source, a policeman escorted the family back to their hotel where they showed copies of their adoption documents. The family was then brought to a local police station. "I can tell you that we are investigating a couple who arrived at the airport with six children  four blacks and two whites which aroused the suspicion of security officers at the airport who stopped them from traveling," Comfort Miah, an official with the Anti-Human Trafficking Unit of the Ghanaian police, told The Associated Press. "They say the children were adopted and we are investigating to find out if this has been properly granted by a court of proper jurisdiction." On their blog and in a video created on their behalf, the couple and their friends say Christine Moghadam was forced to spend a night in jail on Friday, while Sol Moghadam was held in a detention center. Their two biological children were placed in an orphanage. As of Tuesday, they had still not been allowed to leave the country. Their biological children had been returned to them, but the four adopted siblings were still at the orphanage, said Frank Kwofie, director of operations of the police's criminal investigations department. On their blog, the couple posted on Tuesday: "We are emotionally exhausted and traumatized from the entire incident. ... Our case is not complete yet but our chief officer from the Ghana police department has apologized for their overreaction and stated that our detainment was a mistake on their part. Although we have many pending circumstances before uniting our family, we have complete trust in God that He will provide a way out and heal our family from this traumatic situation." Their blog, "Our adoption journey to Africa," has received 47,600 page views. The couple began the application process in 2010, initially petitioning to adopt a child in Ethiopia. They were steered to Ghana in November 2011, after they saw the four siblings on the waiting list of their adoption agency. The blog's timeline states that they received final approval in April. Authorities in Ghana confirmed that the couple provided documentation, but said that they needed to check their paperwork to ascertain the legality of the adoption. "The couple had documentation, but we have had cases where such documentation is fraudulent, so we are having it verified," said Kwofie. Kwofie said the couple has not been charged with anything. Attempts to reach the couple through their blog and through Facebook were not immediately successful.